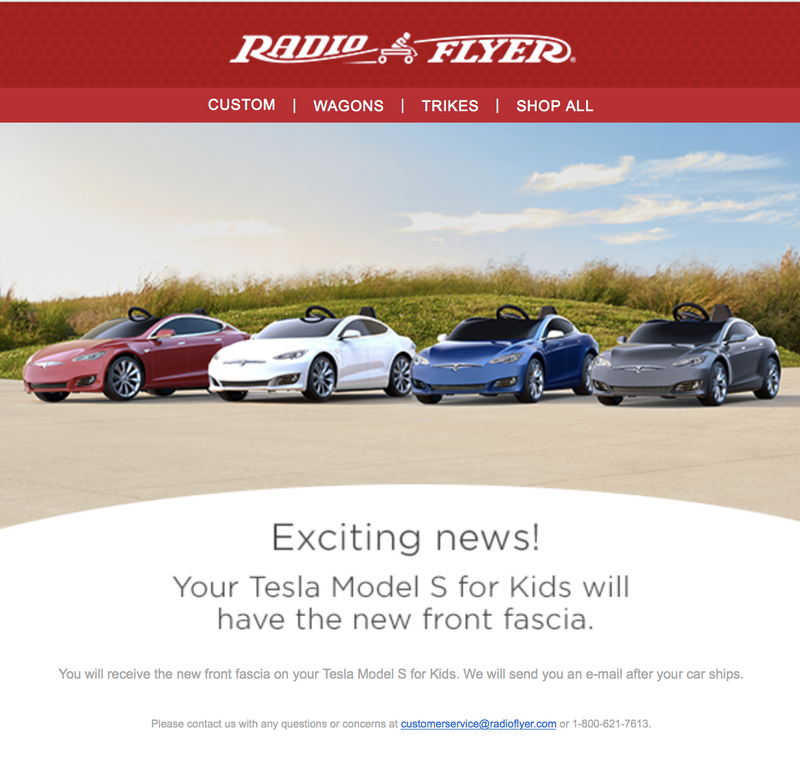 Shortly after Tesla partnered with Radio Flyer to make the ‘Tesla Model S for kids’, the company launched a design refresh of the vehicle – leaving a big difference in the look between the real thing and the toy. Well, the toy is apparently selling enough that they thought worth it to now also launch it with the front fascia refresh. It’s actually quite an ingenious long-term marketing tool. It’s a great way to convert kids into Tesla fans and EV enthusiasts at a young age. The vehicle charges just like a regular EV so it makes for a good learning experience about EV ownership experience and charging infrastructure. Maybe kids playing with this toy car will never have to use a gas station when they are grown up. The $500 EV comes with a standard 130 Wh battery pack, which can easily be swapped (similar to the battery swap system of the Gogoro scooters), and a premium 190 Wh battery is also available for $60. A few other options are also available for the color and wheels on their design studio. Radio Flyer also built it with a small frunk (front-trunk) just like the Model S’. The toy was part of the prizes in Tesla’s latest round of the referral program. They started sending the codes to order one for free to the winners last month, but now they have received an email indicating that they will actually get one with a design refresh. Now they will actually have ones that match the cars in display at those stores.